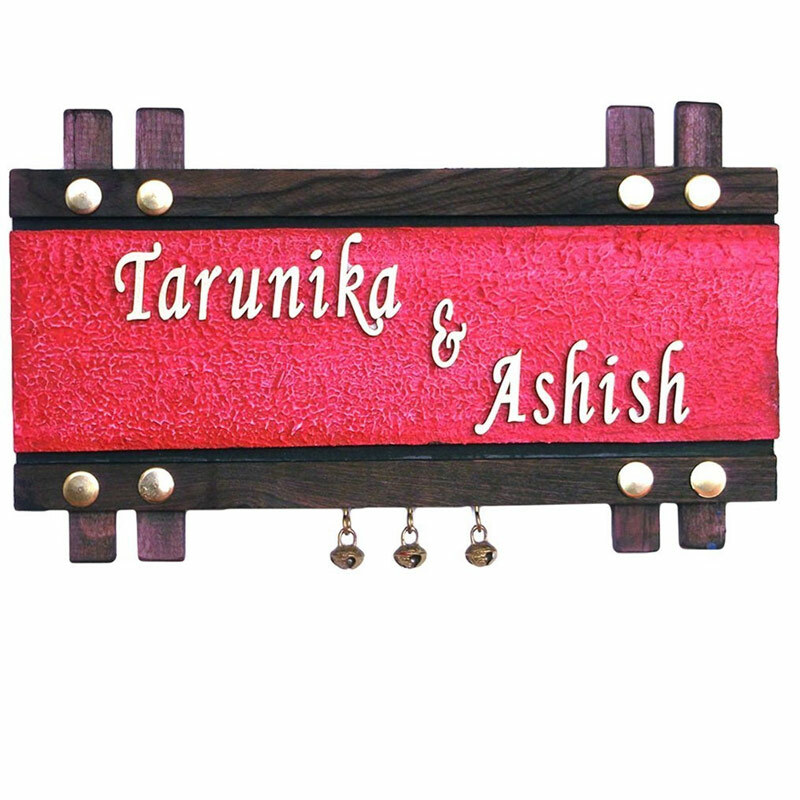 Handworkz has a wide range of Wood Name Plates that are each better than the other. One can even highlight this piece by adding a spot light over it. The calligraphic lettering can be made in different colours too. Interior Designers may choose these Hand crafted Wood Name Plates to decorate a house main door and add a contemporary look to the decor. Letters are of medium density fiber board, can be painted in Golden, Red or any other color you may wish.Also background color of name plate can be painted as per your choice. Size of Name Plate is 12.5 inches X 7.5 inches. Handworkz has a wide range of Wood Name Plates that are each better than the other. One can even highlight this piece by adding a spot light over it. The calligraphic lettering can be made in different colors too. Interior Designers may choose these Hand crafted Wood Name Plates to decorate a house main door and add a contemporary look to the decor. Letters are of medium density fiber board, can be painted in Golden, Red or any other color you may wish.Also background color of name plate can be painted as per your choice. Size of Name Plate is 12.5 inches X 7.5 inches. #this is a custom product made on order only, So there will be no return/refund possible.